This is good stuff right here. 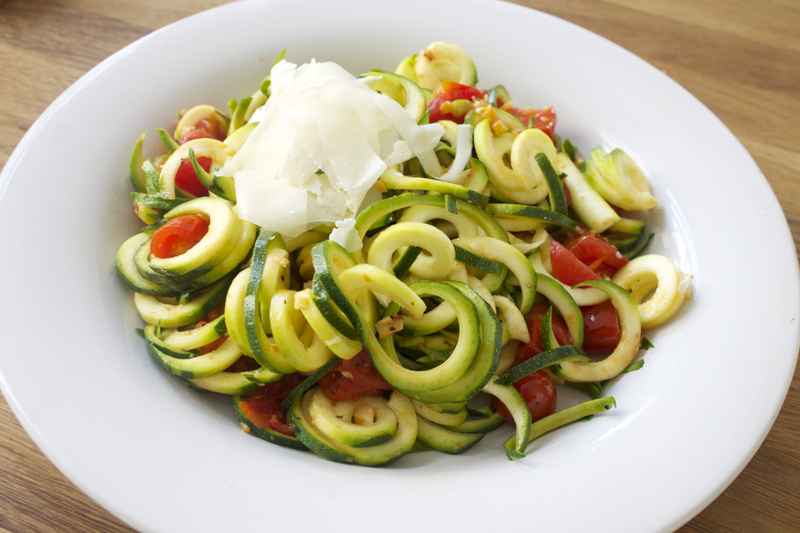 Zucchini & grape tomato.. pasta? Is this considered pasta? It’s not a salad, it’s technically not pasta and it can’t be a pasta salad.. 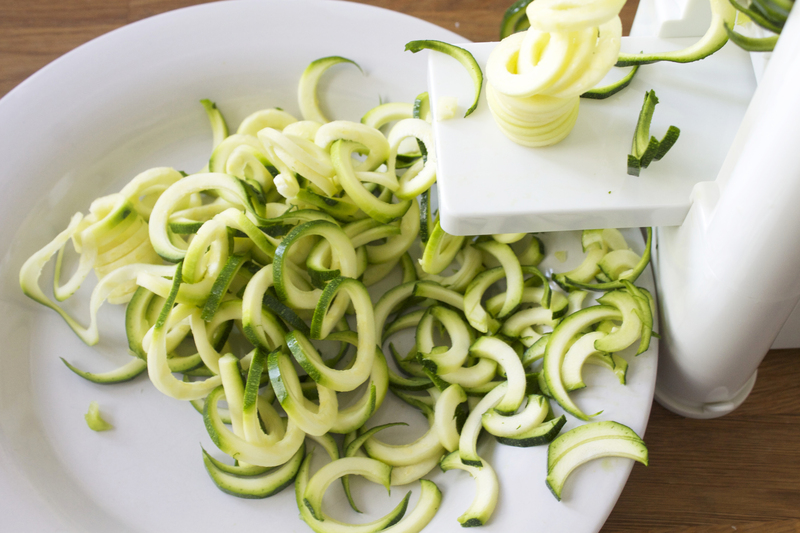 I don’t know what it’s called, but this spiralled zucchini dish is simple, fresh and mega delicious so like, the name = minor details. In a large non-stick pan, heat the oil. Add the garlic and cook until golden, approx 30 seconds. 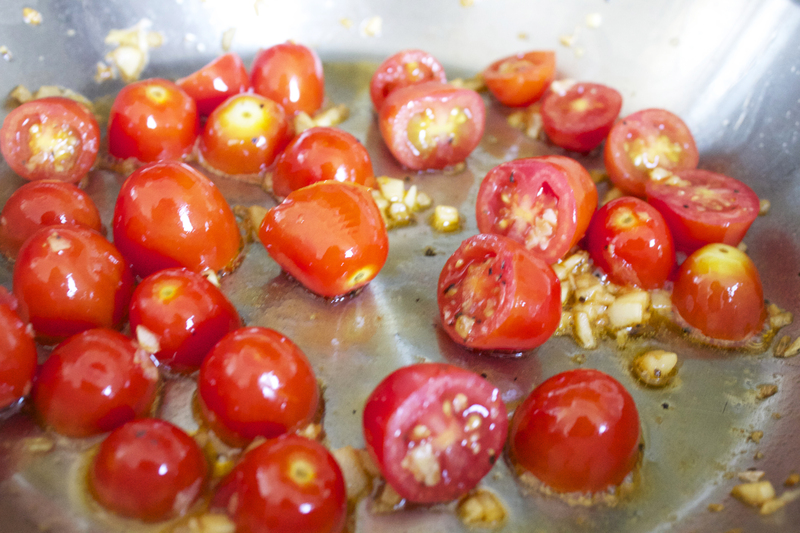 Add the tomatoes,and season with salt and pepper. Reduce the heat to low. Simmer, covered, until the tomatoes soften, approx 15 minutes. Put a little parmesan on top and BAM, you have dinner in under half hour.